Nirjala Ekadashi is the most important and significant Ekadashis out of all twenty four Ekadashis in a year. Nirjala means without water and Nirjala Ekadashi fasting is observed without water and any type of food. Nirjala Ekadashi Vratam is the toughest among all Ekadashi fasting due to strict fasting rules. Devotees abstain not only from food but also from water while observing Nirjala Ekadashi Vrat. Benefits - Devotees who are unable to observe all twenty fours Ekadashi fasting in a year should observe single Nirjala Ekadashi fasting as fasting on Nirjala Ekadashi brings all benefits of twenty four Ekadashi fasting in a year. Nirjala Ekadashi is also known as Pandava Ekadashi or Bhimseni Ekadashi or Bhima Ekadashi due to one legend associated with Nirjala Ekadashi. Bhimsen, the second Pandava brother and voracious eater, was not able to control his desire of having food and was not able observe Ekadashi fasting. Except Bhima, all Pandava brothers and Draupadi used to observe all Ekadashi fasting. Bhima, being upset due to his weak determination and doing a dishonor to Lord Vishnu, met Maharishi Vyasa to find some solution. Sage Vyasa advised Bhima to observe single Nirjala Ekadasi fasting to compensate for not observing all Ekadashi fasting in a year. Due to this legend Nirjala Ekadashi is also known as Bhimseni Ekadashi or Pandava Ekadashi. 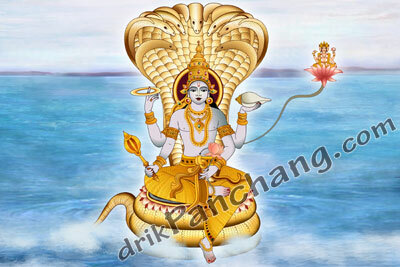 Time - Nirjala Ekadashi fasting falls during Shukla Paksha of Jyeshtha month and currently falls in month of May or June. Nirjala Ekadashi falls just after Ganga Dussehra but in some years Ganga Dussehra and Nirjala Ekadashi might fall on the same day.